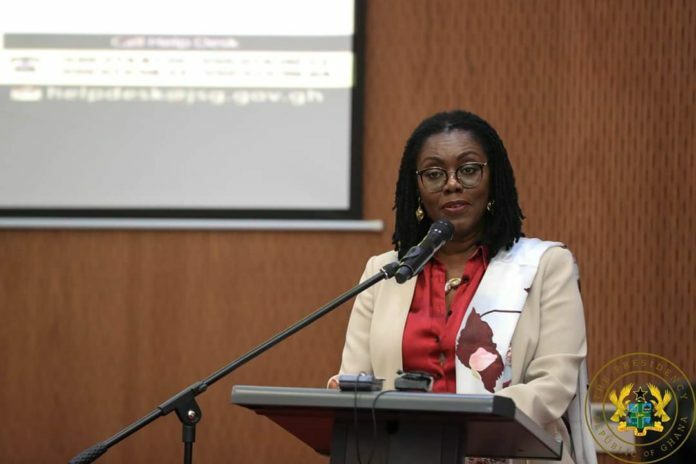 Communications Minister, Ursula Owusu-Ekuful, has served notice to all Metropolitan, Municipal and District Assemblies (MMDAs) that the National Information Technology Agency (NITA) will only provide them internet services for a fee. Starrfm reports that NITA which was established in 2008, until now, concentrated on the deployment and management of government’s IT infrastructure. As a result, current outstanding debt owed it by the MMDAs amounts to GH¢13m. Mrs. Owusu-Ekuful continued, “NITA will provide improved services to you for a fee and you must make provision for payment for it in your budgets, just as you provide for other utilities for guess what, data is as much a utility as water and electricity. Mrs. Owusu-Ekuful said this on Monday during the launch of the industry forum in Accra. She said 10 years of the passage of the National Information Technology Act (Act 771) and the Electronic Transactions Act, (Act 772), no regulations have been passed to give effect to them. She said she has no doubt that NITA can deliver on its mandate when given the requisite support and that it is a necessary and important institution in the digitalization agenda of government and has a clearly defined role for the future. The Ministry of Communications, Mrs. Owusu-Ekuful, said is currently working with the Board to restructure and strengthen the agency. “We intend to reduce the duplication and waste that has characterized the procurement of ICT services in government Ministries, departments and Agencies because no one exercised oversight in this sector,” she said. NITA, she said will define the minimum IT standards all MMDAs must comply with and set up the compliance mechanisms to ensure that is done as no agency will procure any IT software, equipment or service without reference to NITA and you will be required to seek its advice before you do so. “We are working with the Ministry of Finance, Public Procurement Agency, and the Auditor General to ensure that these regulations will be enforced. Until the capacity of the National Data Centre is used up, no MMDAs will set up its own data center. There is plenty of space there to house any servers you need and it can secure our data better than you are currently doing. “These measures are not just being implemented on a whim,” she said.